Trekking in Everest takes you to the most iconic base camp of all at the foot of the greatest mountain in the world, Mount Everest (8848m). This is one of the world’s classic treks, attracting increasingly tourists every year. Everest Base Camp area lies in Solukhumbu District, which is considered as the advanced location for trekking, due to the highest peak Mt. Everest (8848m). Solukhumbu is the place of origin of the inborn mountaineers-Sherpas. Their specific traditional lifestyle and practices, ethnic stone-housed villages and their sound hospitality will make your trek unforgettable. 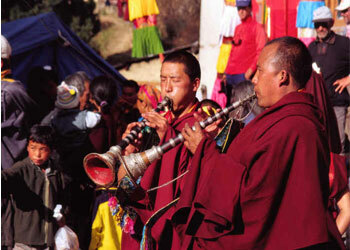 Walking through Shrepa’s land with the Buddhist monuments of– stupas, chortens, mani partitions, and gompas can also be a wonderful spiritual experience. Trekking in Everest is a journey through: Namche Bazaar, Lukla, Mysterious Kala Patthar and the whole Solukhumbu vicinity, located in the lap of looming Mt. Everest. Those who took on the challenge of conquering this region can expect most majestic views of the mountain peaks, scenic beauty of Dudh Koshi and an incredible natural scenery of the area. 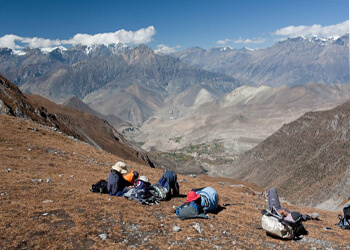 The vicinity of the world’s highest mountain range will make you feel like you’re on the top of the world. Walking through Everest region you will get once in a lifetime chance to experience lush flora of deciduous forests, scattered rice terrace fields, majestic pine forests, blooming rhododendrons and colorfulness of thousands of flowers. This area is also habited by most exotic fauna. As you will bypass through Sagarmatha National Park keep your eyes open for Himalayan Tahr, musk deer Pikka and mouse hare. Above you in the sky you might search for the golden eagle, pinnacle-notch Himalayan Monal – Daphe, the Nation bird of Nepal. 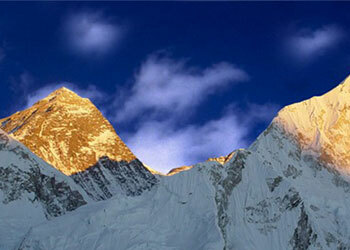 The Everest Khumbu area is also home for leopard and snow leopard and allegedly, fearsome Yeti. 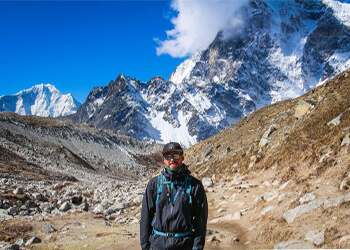 The most well-known trek course is flying to Lukla and mountaineering steeply via the mountains of Khumbu to Everest base camp (EBC) or the sacred lakes at Gokyo. However, these days few trekkers take the route of the roadway at Jiri. You may explore the local and concrete villages via Jiri or Hile to EBC, experience the breathtaking views of world’s tallest Mt. Everest and a stunning view of Ama Dablam, Taweche, Thamserku, Mt. Makalu, Mt. Lhotse. Everest Base Camp trek, Gokyo lake trek, Ebc chola pass trek Everest view trek and so forth are most famous treks of Everest region. Among all of Nepal’s awesome treks, this trek is one of the most memorable. You will get the opportunity of experiencing high altitude mountain scenery, traditional lifestyle and several natural wonders of this heavenly country Nepal.